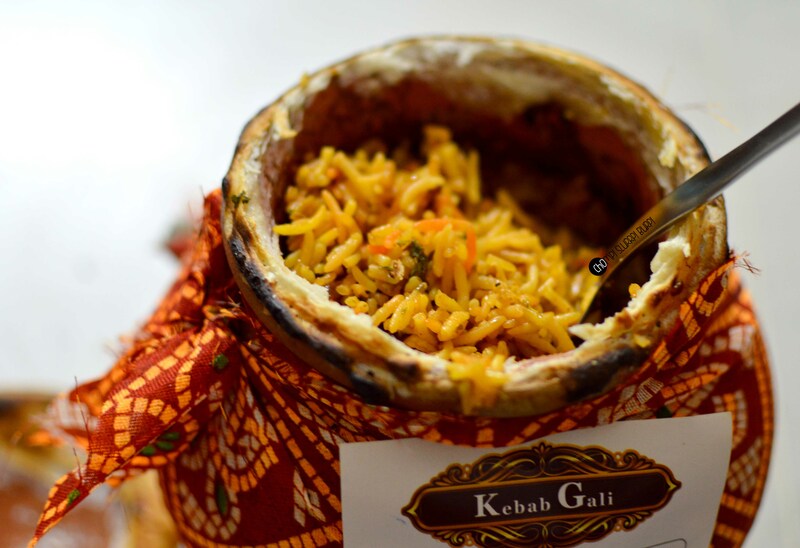 Kebab Gali - the fourth edition - CHOMP! SLURRP! BURP! If you have been following us for long you probably know we are head over heels in love with the brand and time and again go back to their beautifully done dahi ke kebabs, savory curries and Awadhi Handi biryani. They have recently opened their fourth outlet and we couldn’t be more thrilled. This one is a drift from tradition, this one is a delivery only outlet but they are covering all of Dwarka. 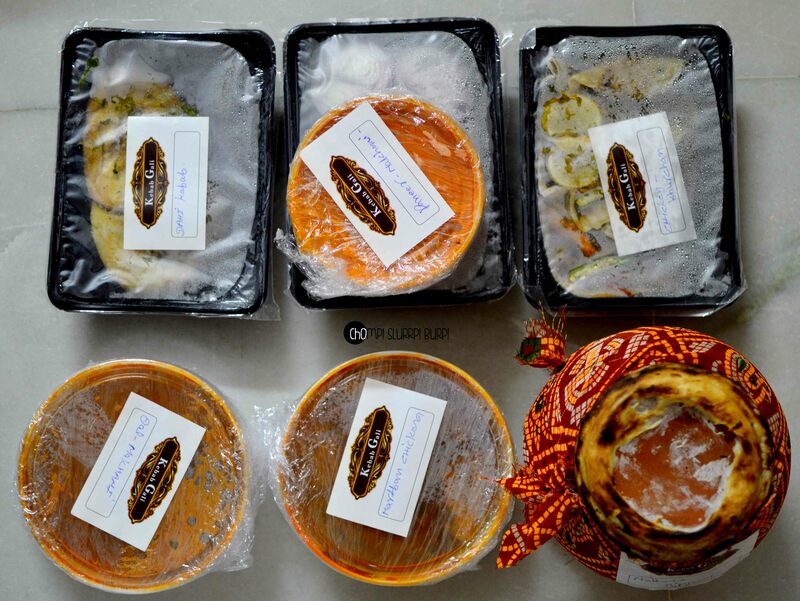 Sampling some of their finest dishes, we started with the classics – dahi ke kebab and chicken khurchan with roti. Every restaurant finds their own unique way of prepararing dahi ke kebab but for me the creamier it is, the better it fairs. The crisy outside with a creamy centre with a tinge of sweetness is as good as it gets. 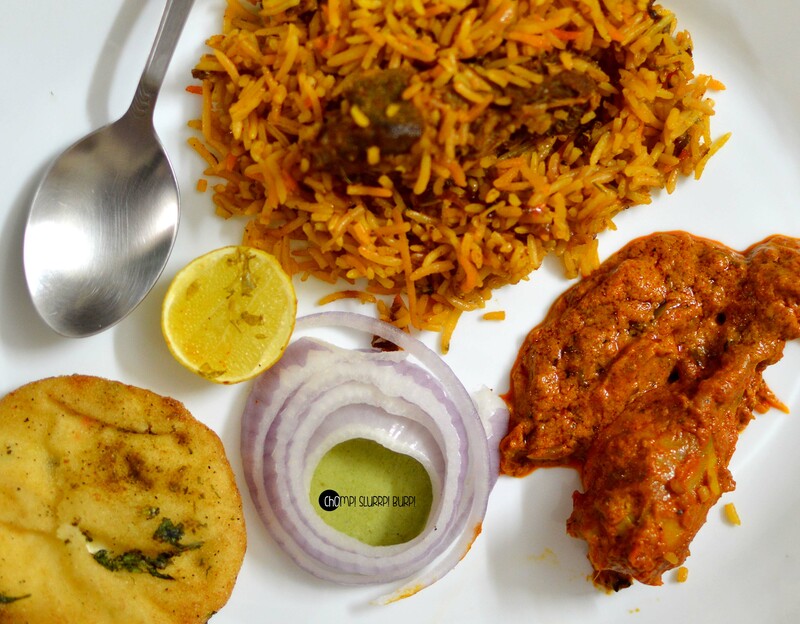 Chicken khurchan is more like a Desi taco with soft rumali replacing the tortilla sheet and delectable and juicy chicken shards tossed with bell pepper and lemon juice. Paneer makhni – this was my first encounter with their vegetarian gravies (and who can blame me really!) and it was amazing. Fresh paneer cubes in a creamy, slightly sweet gravy. 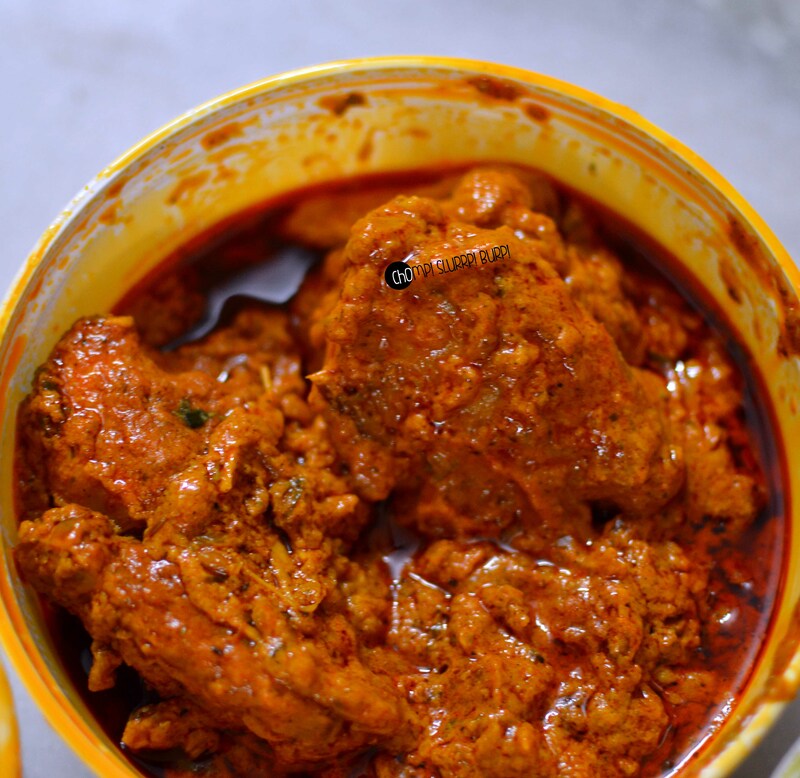 Chicken martaban – well marinated succulent chicken pieces in a spicy gravy with a slight achari tint making it absolutely droolworthy. 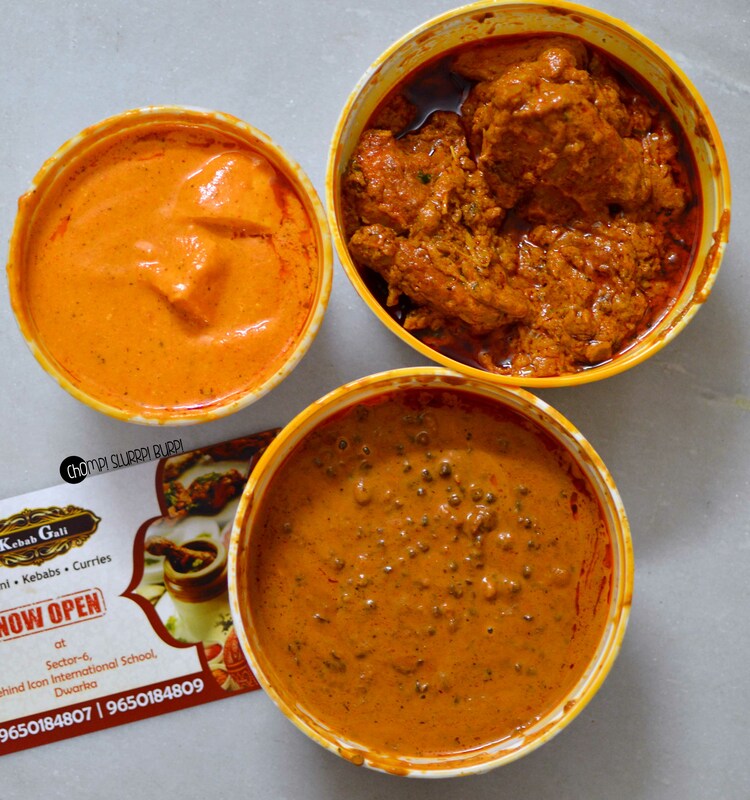 Dal makhni – I swear by their Dal makhni. Just the right consistency, their creamy, perfectly balanced Dal is to kill for. 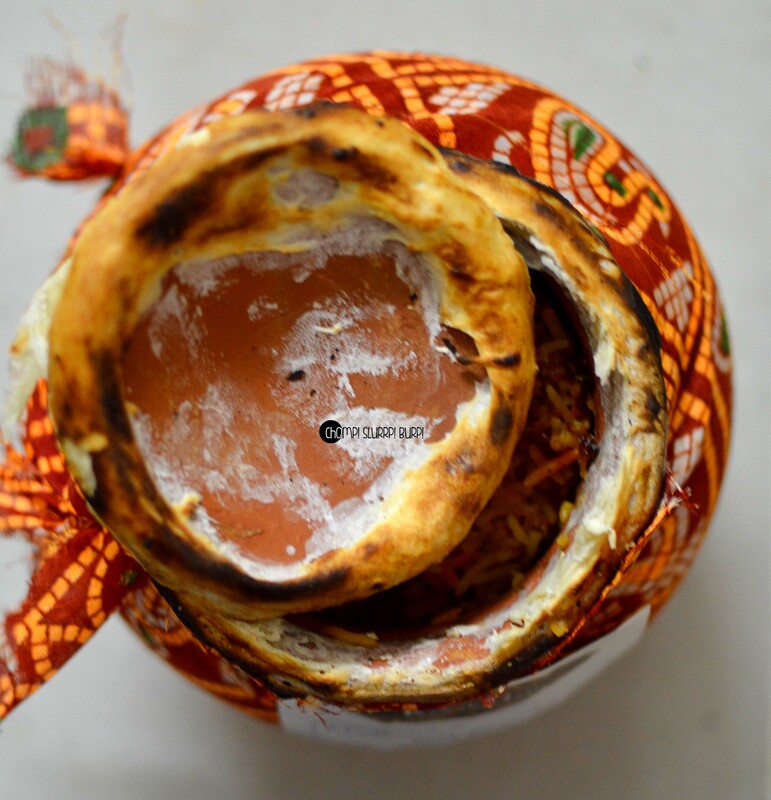 Mutton Awadhi biryani – a traditional handy covered with a red tie n dye cloth cooked to a perfect dum and all the deliciousness sealed inside. Long grain aromatic basmati, slow cooked with whole spices and succulent mutton pieces, the biryani is very flavorsome and a tad spicy. Cool it down with the raita or turn up the heat with their salan. I always vow to get around to their desserts but never quite do. Would love to try their Shahi tukda sometime soon, and until then, yumminess prevails on the plate and palate.